When it comes to business, Anambrarians are exceptionally gifted in it. Their business acumen are not in doubt nor is their mother-wit in question. Young men and women of Anambra state work very hard to see to the success of business(s), and like many other state in the country, they are welcoming people and they treat their visitors with respect. Be that as it may, Anambra state is known for lawlessness, most especially Onitsha, the commercial city of the state. Onitsha was once referred to as the most dangerous city in the country, with high rate of crimes ranging from frauds, armed robbery to hooliganism. The state sends a clear signal to foreigners both within and outside the country to completely stay clear, the only people who had the moxie to visit are either pirates or adventurers. Day after day people are robbed of their belongings, hoaxed of their hard earned money, a little disagreement is settled with fight and the most dangerous of them all comes during election periods in the state. The youth they say, or rather unemployed youths of the state, are the architect of the restiveness and crime. Forming illegal groups and associations to rip artisans apart, to the extent that most of them are taking laws into there hands arresting so-called offenders and causing all forms of disturbances, making the state ungovernable for the government of the state. Comparing states in the country known for pick-pocketing and illegal taxing on visitors and indigene, Anambra state is still ranked among the highest. 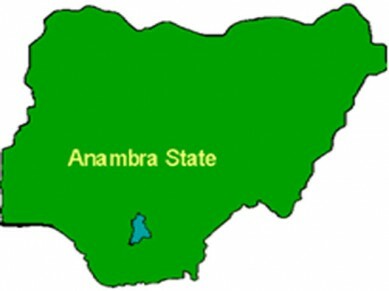 The government of Anambra state has putting thoughts into matter and finally came to conclusion to put an end to the madness engulfing the state for years, through the recent pronouncement by his excellency Governor Peter Obi, who recently banned all form of youth groups or associations in the state. Do you see this as a welcome idea on the part of the government or will it further constitute more nuisance in the society?